Camo Web 3,000 lb B.S. 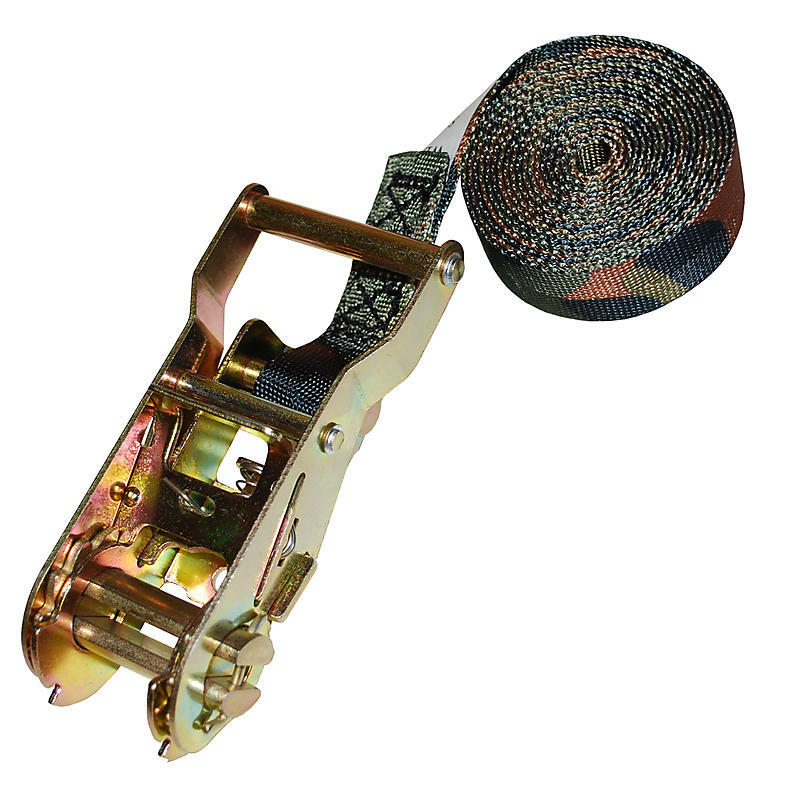 Camo Endless Loop Ratchet Straps are a very useful and common ratchet strap for the hunting industry as well as for any personal applications where tie downs are required. These tie down straps are strong and are made with polyester webbing that will withstand the elements and stay reliable year round on your tree stands. You can pick a certain length and choose the specific ratchet that you want for your application. If you don’t see the length you want give us a call and we can help you get the correct length made for that secluded tree that has to have a stand in it to hunt that “big boy”.